After 4 successful years in Paso Robles, Eroica California is pulling up stakes and heading northwest to Cambria, a little-known-gem of a town located directly on Highway 1 halfway between San Francisco and Los Angeles. A short distance from San Simeon, the famous Hearst Castle, here we will enjoy splendid coastal views dotted with towering Monterey pines, charming antique shops and art galleries, farm-to-fork restaurants, wineries and most importantly, world-class cycling routes for endless enjoyment. Offering spectacular vistas around every turn, this region will soon enter every cyclist’s bucket list when Eroica California showcases Cambria in 2019 for the very first time. Eroica California is a celebration of vintage cycling and a re-creation of the Tour de France and Giro d’Italia events of the past. Eroica California will offer a memorable cycling experience including four, strade bianche inspired routes to choose from and a weekend of cycling entertainment including the Eroica Concourse d’Elegance for vintage bikes, a large swap meet, dinners and other special events. The Eroica Classic rides will take place on Sunday, April 7th. On Saturday, April 6th, riders can participate using “modern bikes” (Road Racing, Cyclocross and Gravel Bicycles with carbon, steel, titanium and aluminum frames). The bikes must have drop handlebars. 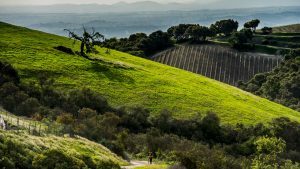 The ride follows the new scenic 82 mile “La via dello Scalatore” Route and participants will experience the most challenging gravel roads of Eroica California. This is one of the most spectacular rides on the Central Coast of California. A contingent of riders from the Davis Bike Club will participate in this classic vintage event. If you desire more info, please click on the website link below or contact Brian Gegan.